Adam G. Despres, Registered Nurse at Hackettstown Regional Medical Center has been selected to join the Nursing Board at the American Health Council. 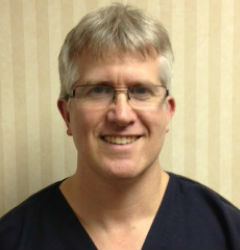 He will be sharing his knowledge and expertise on Acute Care and Patient Education. With over a decade of experience in the field of Nursing, Adam offers valuable insight in his role as a Registered Nurse at Hackettstown Regional Medical Center. Established in 1973, Hackettstown Regional Medical Center developed from a vision dating back to the 1940s by William Rossy and other residents of Hackettstown who believed there should be a hospital in their hometown. Today, Hackettstown Regional Medical Center serves as a leading resource for innovative patient-centered healthcare. As a Registered Nurse at Hackettstown Regional Medical Center since 2012, Adam’s day-to-day responsibilities include acute care and patient education. In 2000, Adam earned his Associates in Logistics from the Community College of the Air Force. To further his educational development, he received his Associates Degree in Nurse Education from the Warren County Community College in 2012. In 2014, Adam completed his Bachelor of Science in Nursing and became a Registered Nurse through the Thomas Edison State College. He is affiliated with the American Association for Men in Nursing (AAMN). Adam’s desire to pursue the field of Nursing developed after caring for his father at a young age. His education was derailed when he took on the responsibility of caring for his mother after his father passed away. Though Adam could have given up on his education, he was tenacious and persistent. He saw the Nursing field as an opportunity to have direct contact with patients while implementing both clinical and medical functions within the scope of practice. Looking back, he attributes his success to being patient and optimistic when he was faced with family obligations, work constraints and personal trials. Due to his unwavering dedication to the field of Nursing, Adam was honored with the Service Award for his ten years of service at Hackettstown Regional Medical Center and the Faculty Award for Professionalism and Interpretation of Nursing Practice. In his free time, he enjoys CrossFit, reading mysteries and health & wellness literature. He volunteers with the Special Olympics and ARC. Considering the future, Adam hopes to obtain his Master’s in Education and Teaching. 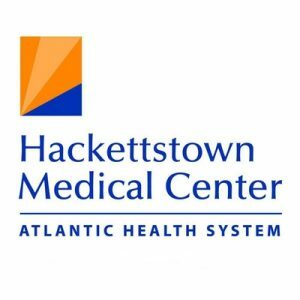 Open since 1973, Hackettstown Medical Center is committed to answering to community health needs in the essence of the organizational mission. The goal of HRMC is to Demonstrate God’s care by improving the health of people and communities through a ministry of physical, mental and spiritual healing. As a leading resource for innovative patient-centered healthcare, HRMC offers many additional benefits to the community through screenings, programs, classes, support groups, vaccinations and health education.